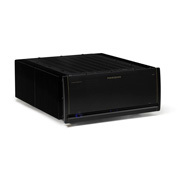 Parasound's award winning Halo Integrated Amplifier would seem to be an impossible act to follow. 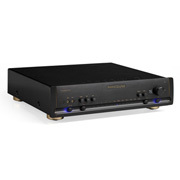 But Parasound's new HINT 6 is an improved version of the acclaimed Halo Integrated Amplifier. 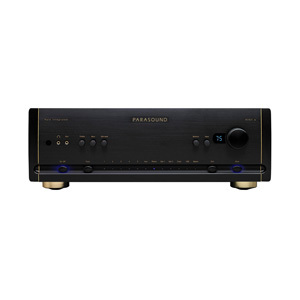 After the original Halo Integrated Amplifier was introduced, it quickly became known as "HINT" in the Parasound community, and that name is now adopted in the new model as the HINT 6. The amazing sound quality and musicality of the original Halo Integrated (HINT) carries on in the HINT 6. The new model features a Burr-Brown volume control with easy-to-read front panel display. 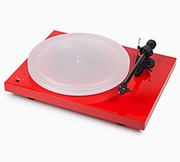 It also adds an upgraded USB receiver with plug-and-play functionality for Windows and Mac, a second optical input, increased phono gain, greater channel separation, and some pleasing refinements to its appearance. The Parasound HINT 6 uses the same powerful John Curl-designed power amplifier as the original acclaimed Halo Integrated Amplifier. This 160-watt-per-channel (240-watts @ 4 ohms) amplifier is based on John Curl's direct coupled Class A/AB circuit topology found in Parasound's renowned separate power amplifiers. These capabilities are further enhanced with a home-theater bypass function, 2.1-channel analog bass management, a dedicated high-current headphone amplifier, and an MM/MC phono stage. 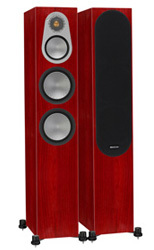 The Parasound HINT 6 is packed full of technical advancements. The new, upgraded volume control replaces the original model's motorized potentiometer and sliding mechanical contacts with a Burr-Brown electronically controlled analog resistor ladder volume control. Technical advancements in the new volume control offer a more distinct sound stage by increasing the dynamic range, lowering the noise floor, improving left-right separation and maintaining absolute left-right channel tracking at any volume level. The solid aluminum volume knob is supported on ball bearings to rotate with exceptional smoothness, while the dimmable two-digit display shows volume level in increments from 0-99. 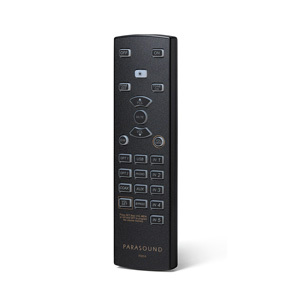 This advanced volume control enables users to program both a default turn-on volume level as well as a favorite-volume level with remote control button. The Parasound HINT 6 uses a proven ESS Sabre32 Reference DAC to decode a wide range of digital music files via two optical, one coaxial, and a new upgraded USB receiver – now with plug-and-play support for Windows 10 in addition to Mac. The asynchronous USB 2.0 input supports PCM up to 384 kHz/32-bit, native DSD256, and DoP DSD bit streams. The coax and optical inputs accept PCM up to 192 kHz/24-bit. Even the chassis of the Parasound HINT 6 is new! 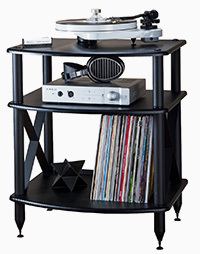 The upgraded chassis is available in either black or silver finish, with its visual appeal enhanced by the addition of subtle gold highlights and sand-blasted solid aluminum end caps. 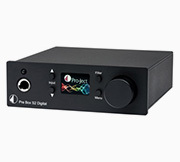 The HINT 6 is equipped with a high quality phono stage. 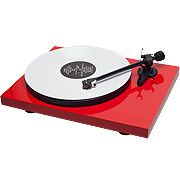 The Phono input has a three-position load/cartridge selector switch. MM is for moving magnet cartridges. It provides a 47k ohm load and the appropriate gain for all MM cartridges. This is the most common cartridge type. MC 100 ohm is for most moving coil cartridges. It provides the higher gain required for even very low output MC cartridges and a 100 ohm load that is ideal for the majority of MC cartridges. MC 47k ohm provides the appropriate gain for MC cartridges with an alternative 47k ohm load. You can try both the 100 ohm and 47k ohm settings to see which sounds best in your system. The MC 47 k ohm setting is also the load which Soundsmith and Grado recommend for their MI (moving iron) cartridges. The HINT 6 is equipped with a dedicated high quality current-feedback headphone amplifier based on the top grade Texas Instruments TPA6120A. 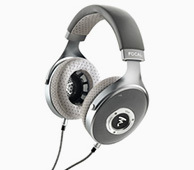 This superior design allows for an extremely high slew rate preventing odd order distortions which are responsible for listening fatigue. The virtually instantaneous response to musical dynamics doesn’t raise the noise floor or degrade the s/n ratio like typical headphone amps. The headphone amp circuit was also designed with a low 10 ohms output impedance and high gain to drive headphones rated up to 600 ohms. The headphone jack accepts a 1/8” (3.5mm) stereo mini plug. The Left and Right Speaker Outputs and the Preamp output jacks (RCA and XLR) are muted whenever a headphone plug is inserted into this jack. The L and R Record out jacks are not muted. The HINT 6 provides one XLR connector and two RCA jacks for one or more subwoofers. 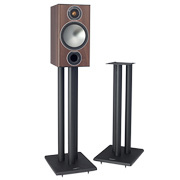 The two unbalanced and one balanced subwoofer outputs all carry the same mono signal. You can select whether the mono signal is full range or crossed over according to the frequency you select for the Low Pass crossover. The Balanced XLR Sub Output has the same signal as either Sub 1 or 2 Output RCA jack. Balanced has 6dB higher gain. Both RCA 1 & 2 outputs and the XLR output can be connected at the same time. If you have two subwoofers and want them to operate in stereo you can connect them to the Left and Right Main Output jacks instead of to the Sub Output jacks which are mono. In this case you would need to set the High Pass crossover switch to Off. With this configuration the front panel Sub Level control does not function. The HINT 6 is equipped with adjustable low-pass and high-pass crossovers. Crossovers are filters that allow certain frequencies to pass while blocking other frequencies. A low pass filter permits only low frequencies to pass and blocks high frequencies. A high pass filter permits only high frequencies to pass and blocks low frequencies. 80 Hz is the best starting frequency for both the High Pass and Low Pass crossovers if you are using a subwoofer and are not certain where to set the crossover frequency. If you are not using a subwoofer, set the HINT 6 Main Output Crossover switch to its Off position. The crossover settings affect both RCA and XLR Main Outputs. The Low Pass crossover allows only low frequencies to be output from the HINT 6 Sub Output jacks. If your subwoofer has a built-in crossover that cannot be switched off, set it to its highest frequency to minimize the negative effects on bass response from filtering in the HINT 6 and again in the subwoofer. The HINT 6 High Pass Crossover for the Main Outputs (both XLR and RCA) allows you to block low frequencies from going to your main L and R speakers. This can be particularly useful if you are using small speakers (typically with woofers of 6.5”/165mm or smaller) and you have a subwoofer. The most common settings are between 50 Hz and 80 Hz. If you are not using a subwoofer you will get better results by turning the HINT 6 High Pass Crossover off or setting it below 40Hz. If you want your L and R speakers to operate full range with no frequencies blocked set the High Pass crossover switch to its Off position. The HINT 6’s Bypass/Amp input makes it suitable for both the highest quality stereo reproduction and powering the L and R channels in a surround sound system. This unique feature benefits your system in several ways. 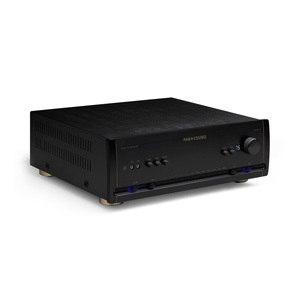 It will improve the performance of your left and right speakers in a surround sound system because the power amp built into the HINT 6 is superior to any surround sound receiver’s amp. 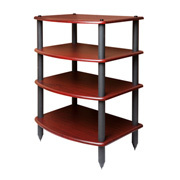 This will also relieve your AV receiver of the burden of driving the left and right speakers so that more power is available to drive the center and surround channels. This feature also enables your subwoofer(s) to operate with stereo sources and the sub channel(s) in your surround sound system. 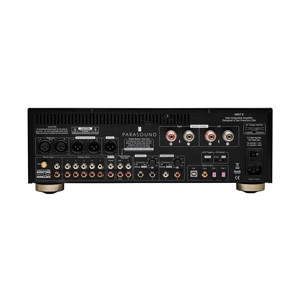 The HINT 6 Theater Bypass function routes the incoming L and R (front) channels from your surround receiver (processor) L and R Preamp Output jacks directly to the HINT 6’s power amp stage, bypassing the preamp stage and all controls. 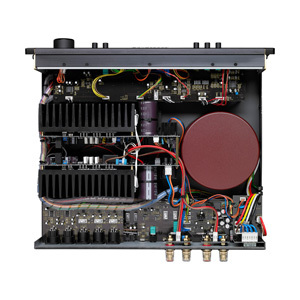 The HINT 6 functions as a pure standalone power amplifier when its Bypass input is used. Your surround processor’s or AV receiver’s sub out jack(s) are routed from the HINT 6 Bypass Sub In jacks directly to its Sub Output jacks. When you select the HINT 6 Bypass input, its preamp circuits and controls are entirely out of the signal path. Your surround sound receiver volume control and bass management settings are preserved when you are listening to surround sound with the left, right and subwoofer channels routed through the HINT 6. Please see the owner’s manual for your surround sound receiver to set and calibrate speaker levels, distance and bass management. After adding the HINT 6 to an existing surround sound system you should recalibrate your system with the calibration microphone that’s typically included with surround sound receivers. Don’t forget that the volume control on the HINT 6 will not work when the Bypass Input is selected. Use the volume control on your surround sound receiver (or processor).